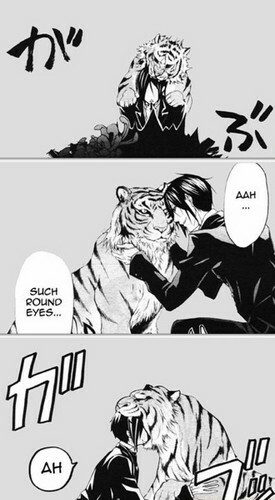 Sebastian and a Tiger (Kuroshitsuji). . Wallpaper and background images in the Manga club.